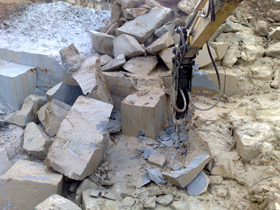 Lawrence Civil Contracting Pty Ltd is a specialist excavation contractor with 15 years experience and an excellent reputation in this field. 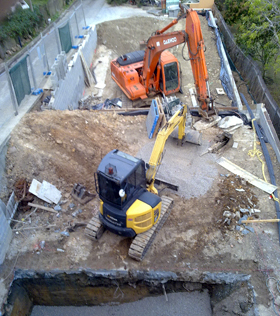 At Lawrence Civil, we cover a diverse range of fields including demolition, remediation, bulk excavation and shoring, car park construction and limited access waterfront excavation. We work for most of the biggest construction companies and government authorities including Sydney Water and Integral Energy, as well as smaller businesses and home owners. We pride ourselves in giving good and reliable service at all times forging strong ties with all our customers, new and old. 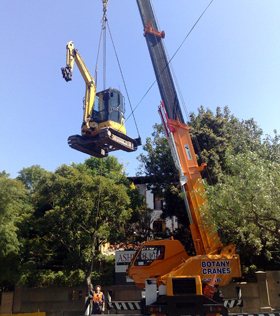 Lawrence Civil Contracting Pty Ltd has in place and fully documents and implemented OHS & R, Environmental and quality systems that all jobs must now have. Our on site and management teams are very experienced and will ensure that your project is completed safely, cleanly and professionally from start to finish. Lawrence Civil Contracting owns and operates a variety of machinery including a 22t Excavator, two 5 tonne excavators, a bobcat, a backhoe and a bogie tipper. Meaning we can tackle any job and efficiently.